A wonderful collectors book full of sets of collectable metal discs. 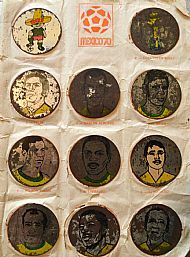 The outstanding set is the Brazil 1970 world cup team but there are also many other sets in the booklet. Condition is rough but this is a rare and interesting set from Brazil. Anyone have any more information or better condition discs? 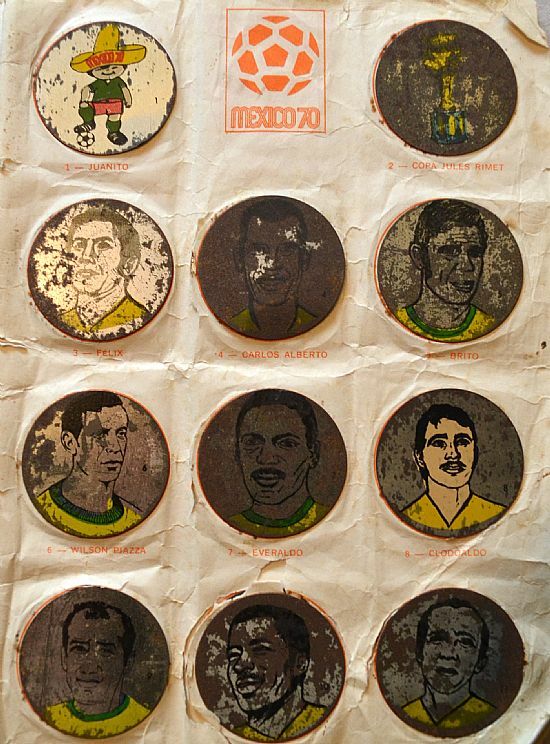 The players featured are: Juanito (mascot), World Cup Trophy image, Felix, Carlos Alberto, Brito, Wilson Piazza, Everaldo, Clodoaldo, Gerson, Jairzinho,Tostao, Pele, Rivelino, Ado, Leao, Ze Maria, Baldochi, Fontana, Marco Antonio, Paulo Cesar (missing), Dario, Roberto. 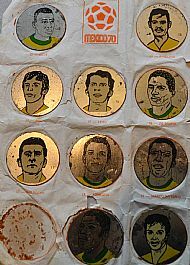 The team badges are: Brazil, Corinthians, Sao Paulo, Santos, Palmeiras, Portuguesa, Ponte Preta, Guarany, Ferroviaria, Juventus, XV de Piracicaba, Botafogo Rib Preto, Flamengo, Vasco de Gama, Botafogo, Fluminense, America, Bangu, Cruzeiro, Paranaense, Coritiba, E C Bahia. 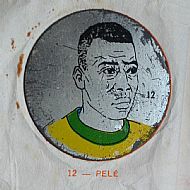 Stunning set of metal player including of course Pele. The price is for the set as shown on double sided page, the discs are stuck to the page. 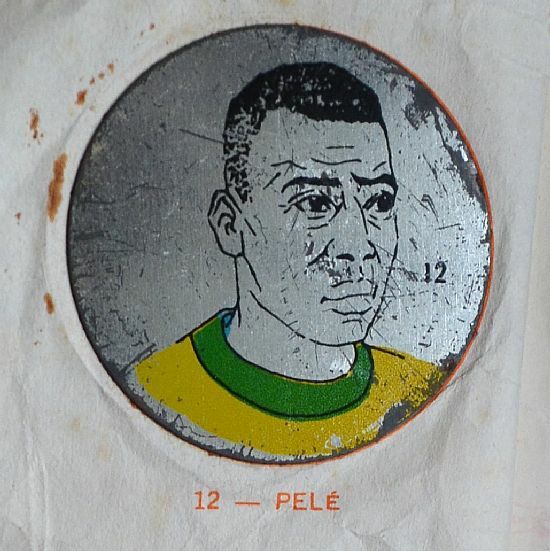 The inner page was protected from the weather and is in better condition. 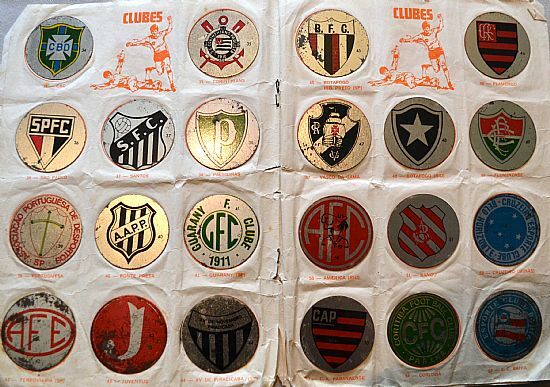 A superb double page collection of Brazilian Football Club team badges. Superb.